Meet the Tweto family that rules Alaska's most dangerous skies. 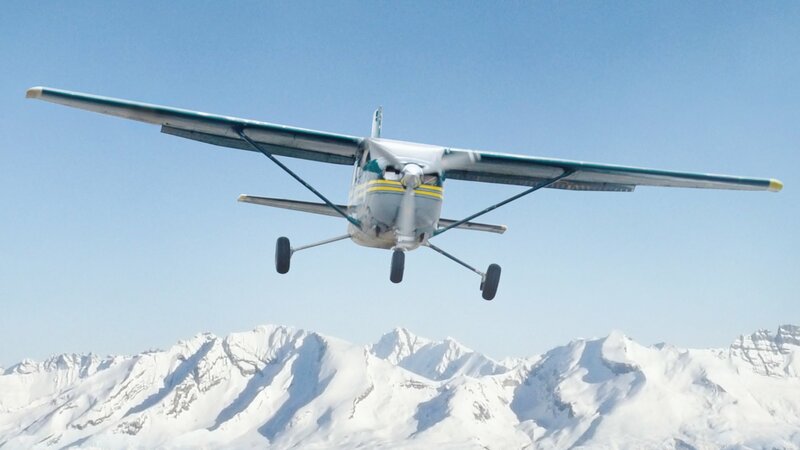 Operating their family-run airline, Era Alaska, they battle unforgiving Alaskan weather and terrain to transport life's necessities to one of the most remote and extreme regions of America. Twetos family transports supplies to some of the least-accessible areas of Alaska. Jim makes arrangements for the transportation of the first casualty of winter. Jim and Brooks look for potential landing strips; an Eskimo feast is prepared. The crew races to finish Era's hangar before the winter snow arrives. Pilot Yuri trains in Bethel for a potential promotion to fly the 208 Caravan, but danger strikes when heavy ice forms on the wings. Pilot Doherty flies along Russain airspace to transport volatile explosives to the island of St. Lawrence. Era Alaska makes a special canine delivery to four-time Iditarod champion Lance Mackey in Fairbanks. Western Alaska is hit with the biggest snowstorm of the season. Halloween in Alaska brings vicious crosswinds that wreak havoc on Era's small planes. The approaching winter darkness fuels a mass exodus from Unalakleet; in Barrow, a bootlegger attempts to smuggle in illegal liquor.